MASSILLON, OH - February 19, 2015 - International Soccer Network, LLC is pleased to announce that the Shale Soccer Classic Presented by Admiral Sports will take place at Perry High School in Massillon, Ohio on July 24-25, 2015. "Stark County, Ohio is the birthplace of American football and the home of the Pro Football Hall of Fame," International Soccer Network, LLC founder Gary L. Moody Jr. stated. "But for one weekend in July, it will be the destination for the best soccer in North America." The event will feature three world-class matches on July 25th: two national high school/club all-star games and one professional exhibition. The girls all-star soccer showcase will kickoff at 1:30 pm, while the boys all-star soccer showcase will start at 6:30 pm. The pro exhibition has a 4:00 pm kickoff and will feature two teams to be announced at a later date. Training and other events will take place on July 24th. 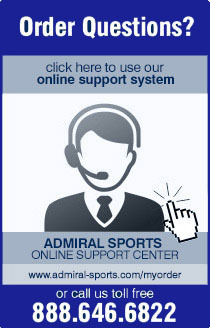 The Shale Soccer Classic is made possible by the generosity of Admiral Sports, the presenting sponsor for the event. "We are tremendously excited to partner with Admiral Sports," Moody added. "They are a truly iconic brand worn by some of the biggest names in the world of soccer. Manchester United, the England national team, and the New York Cosmos have all donned the Admiral kit at one point in their history. Now our players are going to benefit from wearing the best in the business." Admiral has supplied most of the current English Premier League (EPL) teams in addition to being the largest brand in the original North American Soccer League (NASL). Admiral has grown into a major player in the North American market, becoming the second-largest soccer brand supplying professional teams in the U.S.
Today Admiral is a true brand of champions, being worn by the 2013 Premier Development League (PDL) Champion Austin Aztex and the 2014 PDL Champion Michigan Bucks. Admiral is a pivotal figure for USL PRO, PDL, Major Arena Soccer League (MASL), National Premier Soccer League (NPSL), US Youth Soccer state associations, and youth teams across the country. Other sponsors include the Canton Stark County Convention and Visitors’ Bureau, Mercy Medical Center Sports Medicine, Via Media Company, ISN Sports & Entertainment, Old Carolina Barbecue Company, Baja Pizzafish, Smoke the Burger Joint, BigTime Sports, and Edward Jones Investments. Tickets are just $10 and will be good for entrance to all three matches. 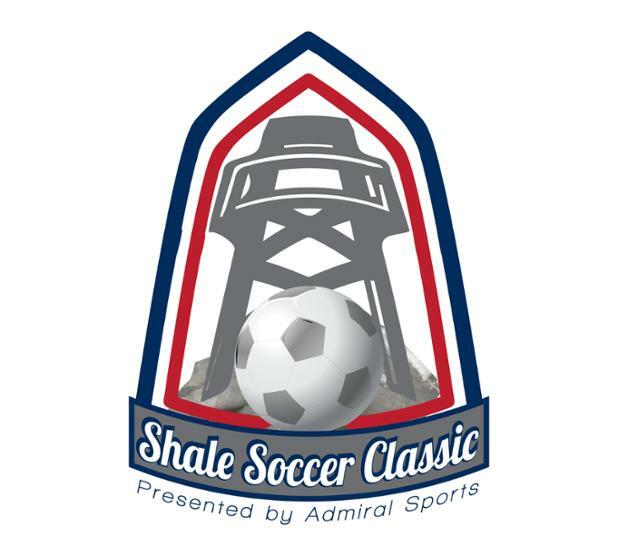 The Shale Soccer Classic Presented by Admiral Sports can be found online at www.shalesoccer.com or on Twitter (@ShaleSoccer) and Facebook (www.facebook.com/shalesoccer).